Cut bacon into bits and fry in a saucepan until crispy. Remove the bacon, reserving the fat in the pan. Add 2 Tbsp onion and allow to cook about 1 minute. Whisk in dijon mustard, honey, vinegar and salt and pepper. 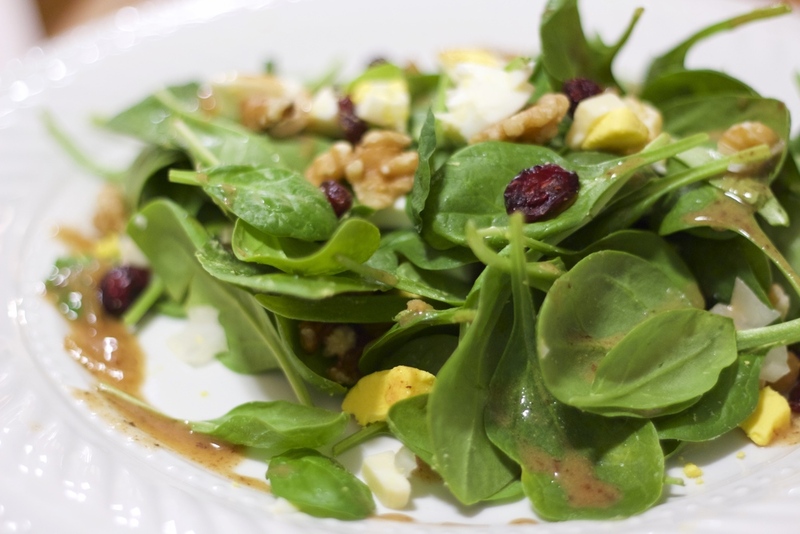 In a bowl, mix fresh baby spinach, diced onion, handful of cranberries, handful of walnuts, crumbled cheese (to taste) and top with sliced hard boiled egg. Drizzle warm bacon dressing on top and serve.